With its pristine water ways, picture-perfect beach and the delicious eateries framed by the iconic fig trees, it’s easy to while away time in Saw tell. Whether you’re lucky enough to b e local or simply visiting for the weekend, this dynamic little town is packed full of wonderful activities and delivers something for everyone. the panorama to the south over the rock pool, Bonville Estuary and Bongil Bongil National Park and unrivalled views of the coastline. On a clear day you can see as far as South West Rocks. For over 80 years the Sawtell Surf Life Saving Club has been the ideal spot to take in Sawtell’s two kilometres stretch of beach bliss. As one of the main access points to the beach, the lawn and the beachside timber deck deliver a gorgeous vista with Boambee Headland to your north and Bonville Headland to the south. At the surf club, grab a coffee or bite to eat at the recently opened, The Kiosk. 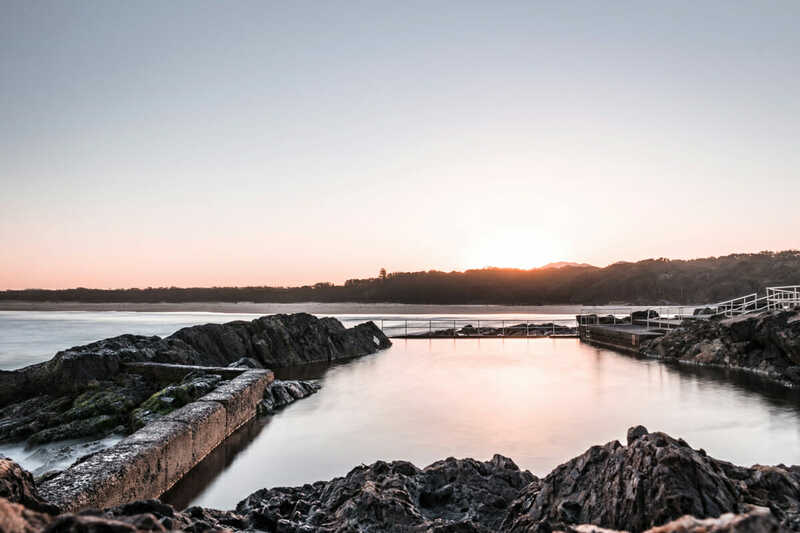 There’s no better way to cool off after your headland walk than with a dip in Sawtell’s very own rock pool. Created more than 50 years ago, this much-loved local landmark is one of just a few ocean pools on the mid-north coast. The pool is built into the headland and offers great protection from the rip that runs out past the pool from the mouth of Bonville Creek. With ocean temperatures fairly mild all year round, the pool is perfect in springtime. Depending on the wind direction, you’re bound to score a wave in Sawtell. 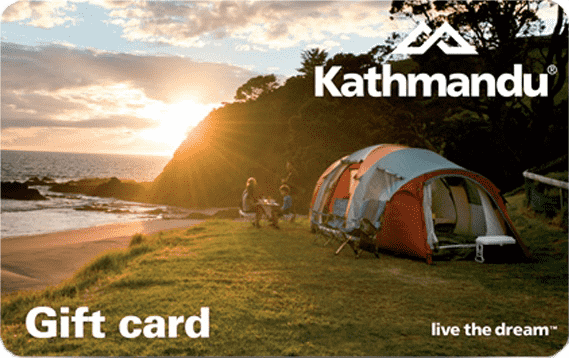 With two headlands on offer, there’s always a protected spot. 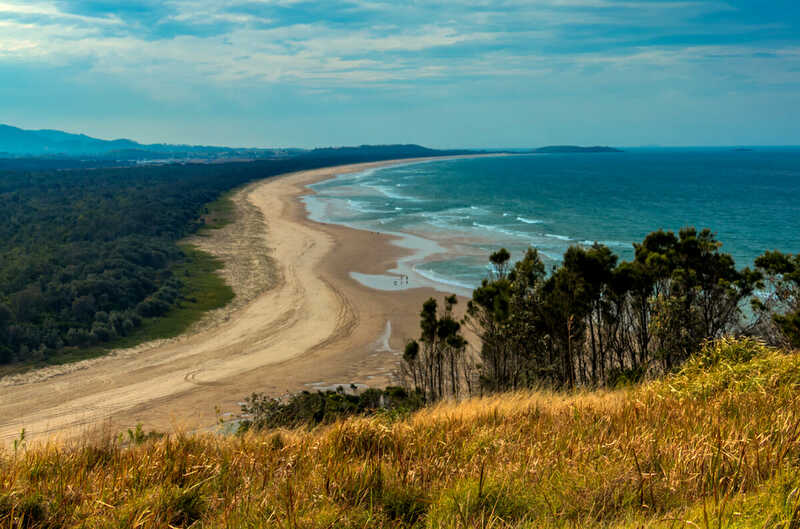 Bonville Headland is a popular surfing location and you’ll also find keen surfers at Sawtell’s main beach. Whether you’ve surfed a little before or are a complete beginner, the team at Sawtell Surf School will get you up and on a wave before you’ve even had time to fret about falling off! The highly qualified and friendly instructors will give you an authentic taste of surfing, useful safety information on waves and the beach, and a top time! So be sure to give it a try. The school runs private and group lessons. 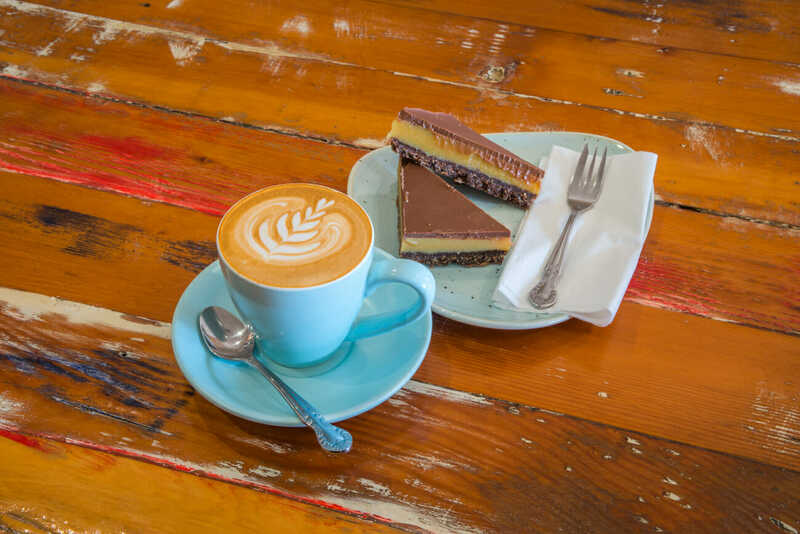 Coffee & a caramel slice, what could be better? 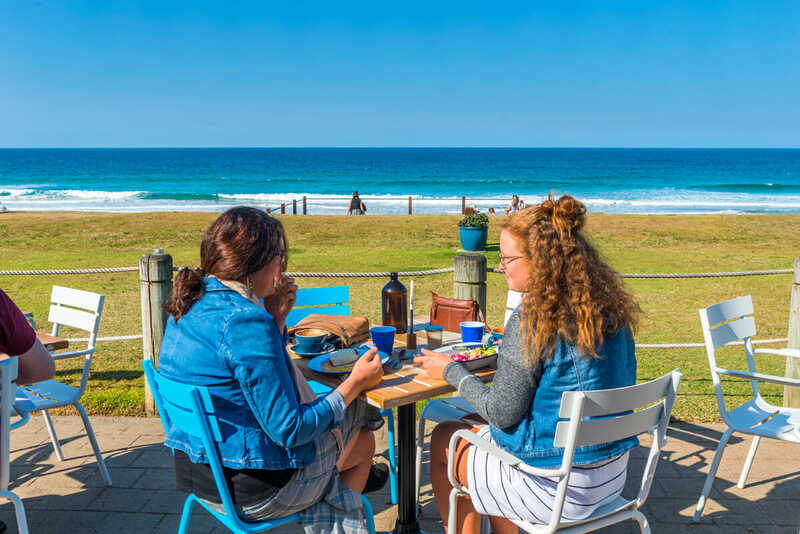 Along with the magnificent fig trees, the streets of Sawtell are lined with a plethora of cafés and restaurants offering some of the finest food on the coast. Coastbeat favourites include Treeo, Boomtown 2452, Zest and Split Café & Espresso Bar. For the sweet tooth, try Treeo’s Nutella French toast (delicious!). Zest’s salt and pepper squid is also delicious and it’s hard to go past Split’s smashed avocado, dukkah spices and poached eggs! If you’re after a quick takeaway to enjoy under the shady fig trees, grab a yummy burger from Village Takeaway or pop across the road to Sea Salt Fish & Chips. Find out more about another tasty local eatery, the new Hilltop Store here. If you’re more of an outdoors type, there’s nothing better than a picnic lunch at Boronia Park. Arguably one of Sawtell’s most popular picnic spots, Boronia Park is located on Boronia Street at the base of Bonville Headland. It features barbecues, picnic tables and chairs as well as a children’s playground. It’s also in close proximity to Bonville Creek – popular for swimming and fishing. Sawtell Cinema is an iconic part of this beachside village and is quaint, charming and historic in nature. 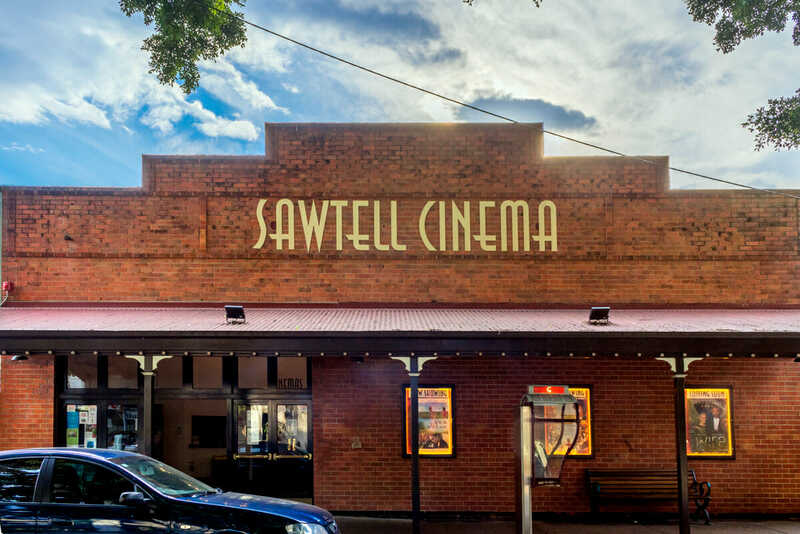 Dating back to 1941, the Sawtell Cinema has had its challenges over the years – temporarily closing at one stage – but remains a thriving and proud part of the Sawtell community. From its unique décor, extra soft seats and glorious old-world feel, there’s no better way to take in the latest releases. Find out more about the Sawtell Cinema on p68. Did someone say shopping? 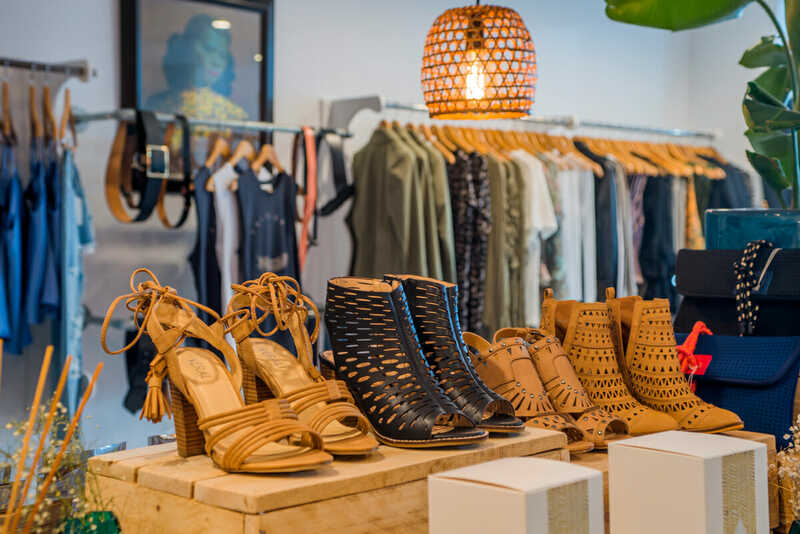 You heard right, not only has Sawtell got the beach and café life sorted, it’s also great for fashion and homewares with several beautiful boutiques sprawled along the main street. For the latest clothing, shoes and accessories, Coastbeat loves First Avenue Boutique and Miss Minnie’s Boutique. You can also pick up some vintage homewares from the local op shop. Fancy yourself a budding Picasso? Why not try your hand at one of Sawtell Art Group’s regular classes or workshops? 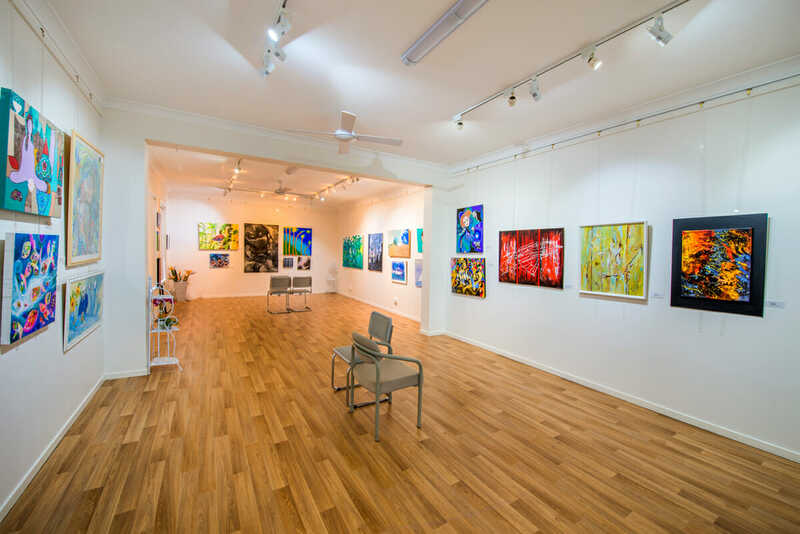 Classes cover a range of different styles and skills from oils and acrylic landscapes, to paint pouring, watercolour and drawing techniques. If you’d rather see art than create it, the regular exhibitions on offer may be more your speed.